Software Designers :- Windows, Embedded, IOT & PIC etc. etc. We produce a range of stand-alone or Internet connected monitoring and control systems, specialising in environmental and energy monitoring. We will take on any network support, software development or web development work that fits our areas of expertise. Currently developing a range of IEEE 802.15.4 wireless ModBus RTUs, and various projects using ESP8266, ESP32, Jennic and Silabs Blue Gecko devices. WiFi enabled solutions for the "Internet of Things" (IOT) applications. 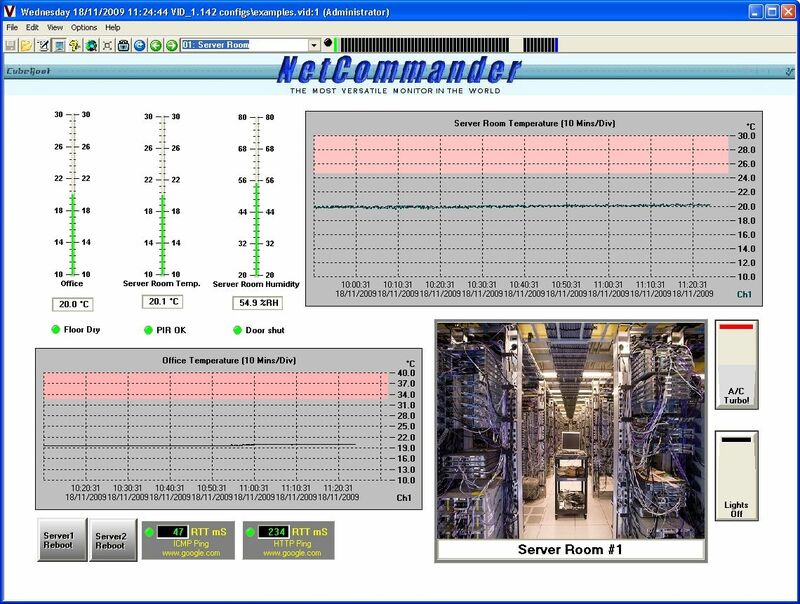 The VID (Virtual Instrument Desktop) software allows low cost NetCommander hardware to be used in distributed control and monitoring systems. The Software combines a customisable virtual instrumentation display with a "behind the scenes" event monitoring, logging, alerting and control system, to provide a full and customizable HMI to your application. Click Virtual Instrument Desktop to download the latest version from this site. Or purchase unrestricted version from our WebShop. Unregistered, Virtual Instrument Desktop (VID) is fully functional but will only run for half an hour at a time before closing down. The unregistered software will allow you to explore all aspects of the system and to design your own instrument panels, and control regimes and save the files for future use. VID is used in data acquisition, SCADA, HMI, process control, plant monitoring, data logging, environmental monitoring, power monitoring, BMS, and virtual instrument systems. 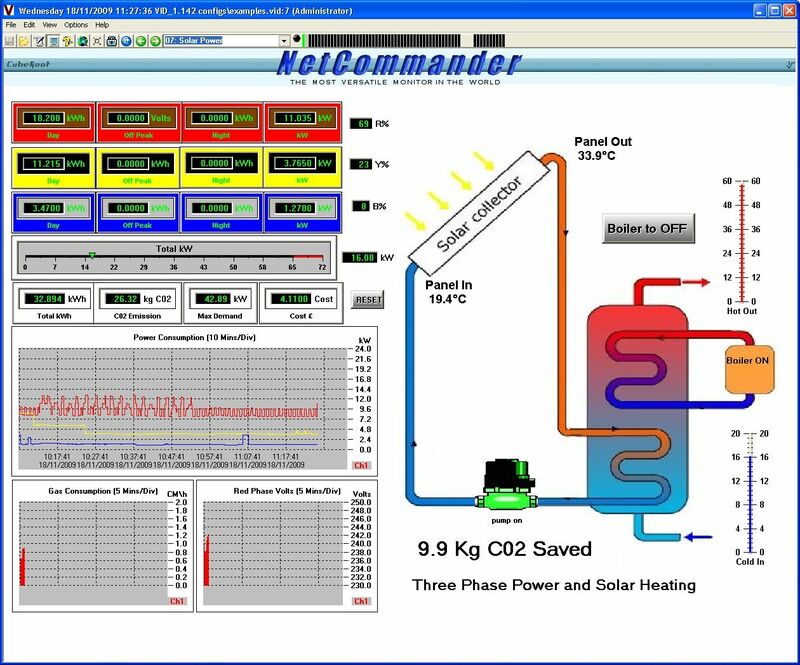 The Virtual Instrument Desktop software allows low cost NetCommander or ModBus compliant hardware to be used in distributed control and monitoring systems. The Software combines a customisable virtual instrument display with "behind the scenes" event monitoring, logging, alerting and control systems. The system is equally "at home" on a LAN or RS485 connected system or a globally distributed system using the Internet, private network or Corporate VPN.